It's Lauren here to share with you my next Design Team project for this month. You can see my first project - a scrapbook layout - here! 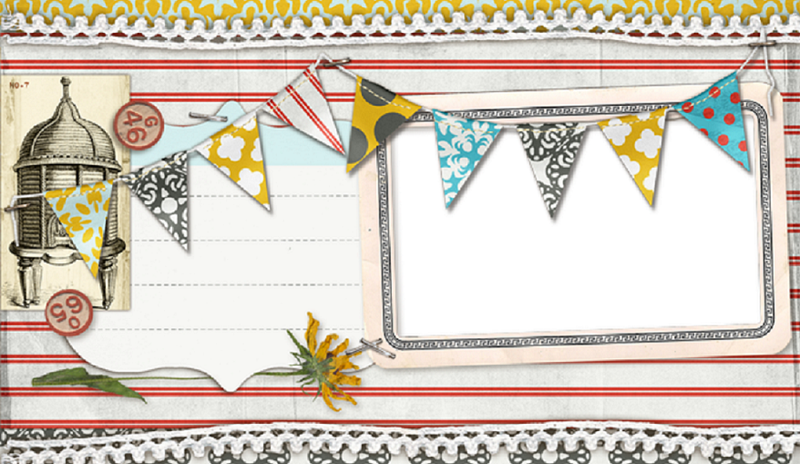 The clothesline theme for Doodlebug Design Inc.'s Sugar & Spice line is really just the cutest! 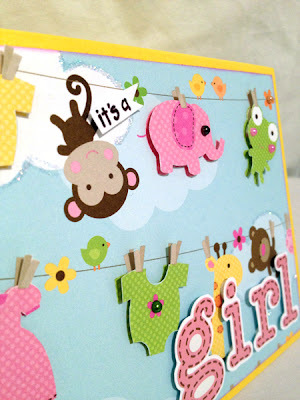 I love the Hangin' Out paper design that I didn't want to layer anything on top of it, so I cut out identical pieces of clothing or little animals and used dimenionals to make them pop. 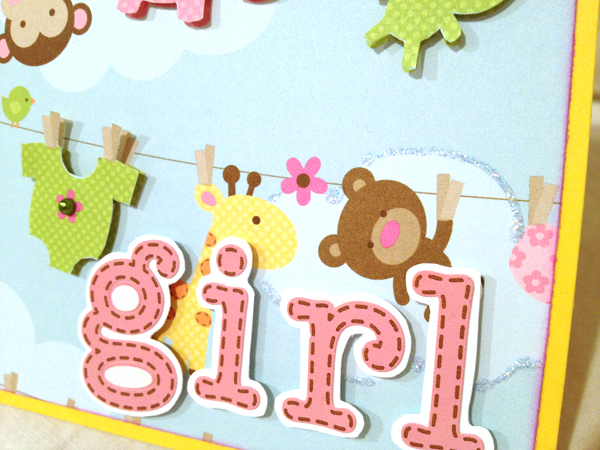 The pearls and Stickles add some bling and I layered "girl" on to white card stock and trimmed around the letters to make sure they stood out against the more busy background. 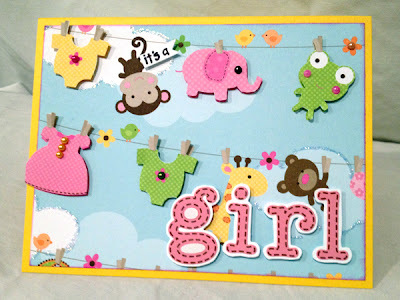 This is a fun card to give to an expecting mother or even as an announcement when you know you're having a baby girl. Stay tuned to see my final project!